BBO-Hat-BLGD Our all new Battle Born Offroad snapback hat! This is a flat brim snapback, with mesh rear side. 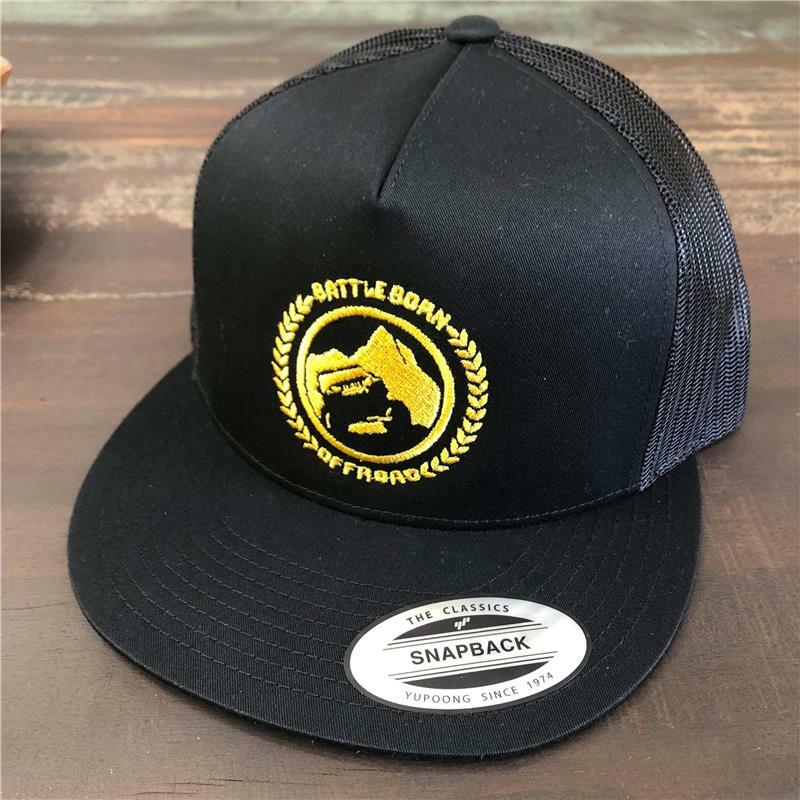 BBO-SWAGPACK Battle Born Offroad Swag! TROPHY-PATCH 3" Woven BBO Patch. Includes free tracked shipping. Velcro backing. BBOSHIRT PLEASE INCLUDE SHIRT SIZE.